You guys must know now that I love coffee. My husband and I are huge coffee drinkers and love trying new coffees. 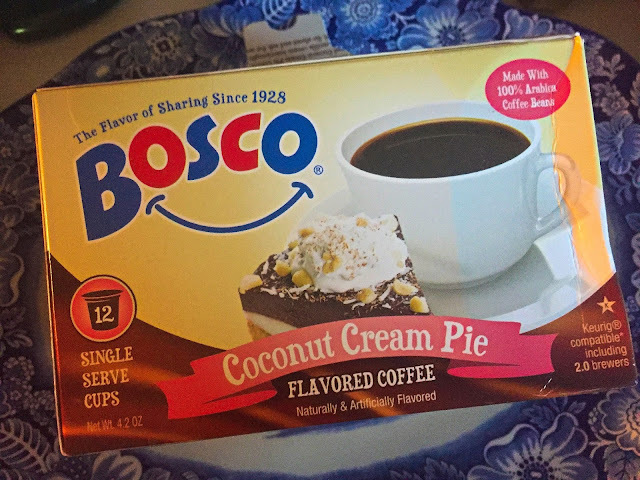 This week I got found Bosco Coconut Cream Pie flavored coffee put out by Two Rivers Coffee that went faster than any of my other flavors. It is made with Few things go better with a steaming cup of fresh brewed coffee than a decadent slice of coconut cream pie. The coffee taste exactly like a Coconut Cream Pie Coffee so much that I didn't need any dessert with it. 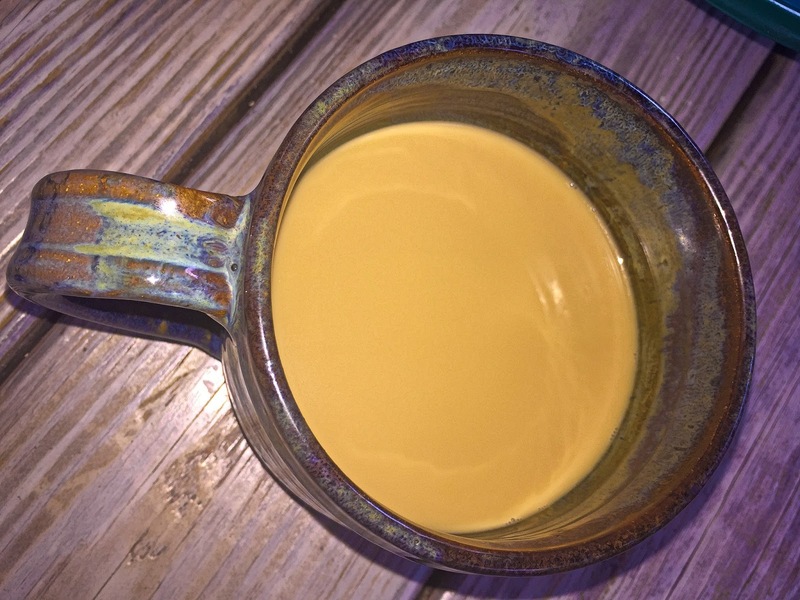 It is a rich coffee with a hint of coconut, sweet cream and chocolate. It is almost like a cup of hot chocolate. It is so good that I wish I could invite you all over for a cup of coffee at my house. My daughter was upset that she was only able to get one K-Cup out of the whole box which lasted 4 days in my house. This is a photo of the last cup which I enjoyed on my deck while looking at the new bird house that my husband made this weekend. (that is for another post).